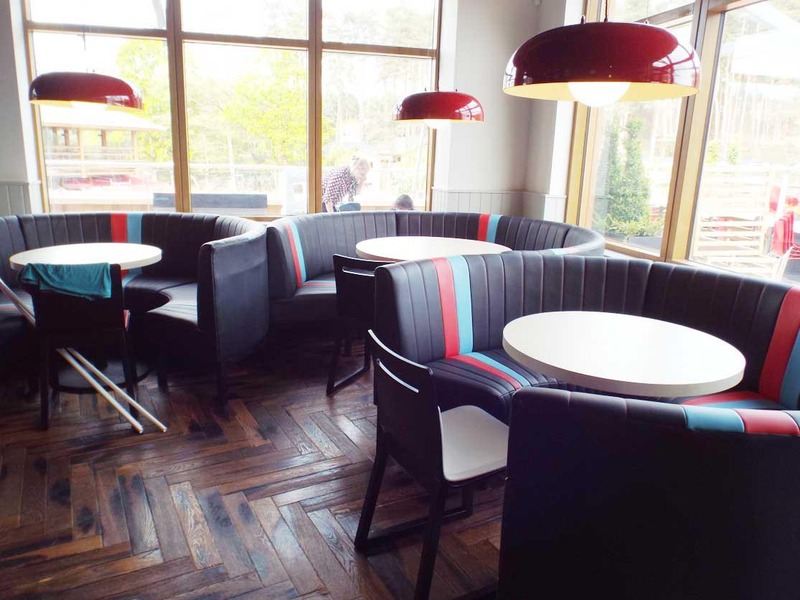 We were requested by Keane Brands to design and manufacture a Parquet Floor for the Strada Restaurant Chain, in particular the new Strada in Woburn Centre Parks. 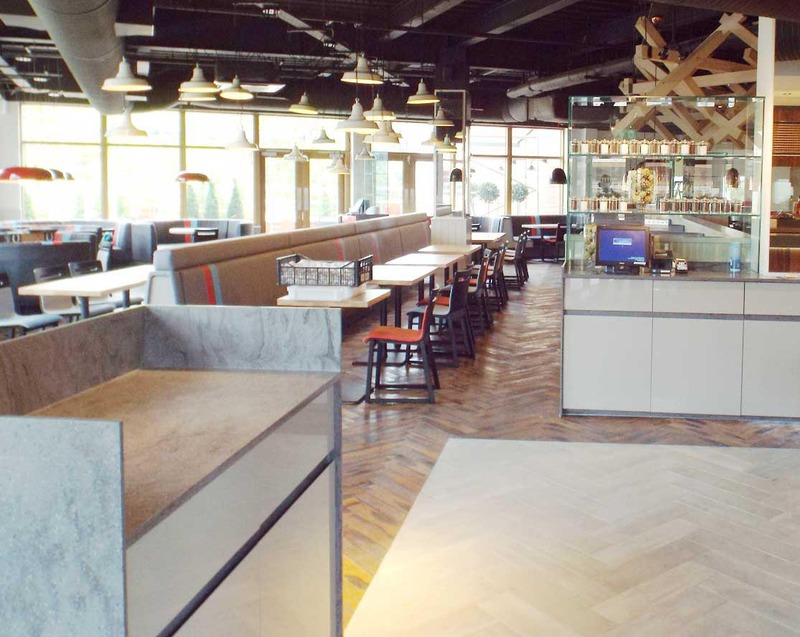 Their brief was to produce an Engineered Fumed & Fired Antique Parquet Block (TW-E956) that could withstand high amounts of traffic, and typical wear and tear that a busy restaurant would receive. The 90mm wide herringbone parquet has a 6mm thick oak top layer and is mounted on to a 14mm thick mixed crossply board for long lasting life and strength. 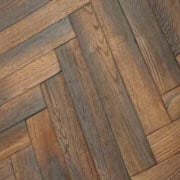 This Parquet can be used in any location, where the design fits the interior decor. 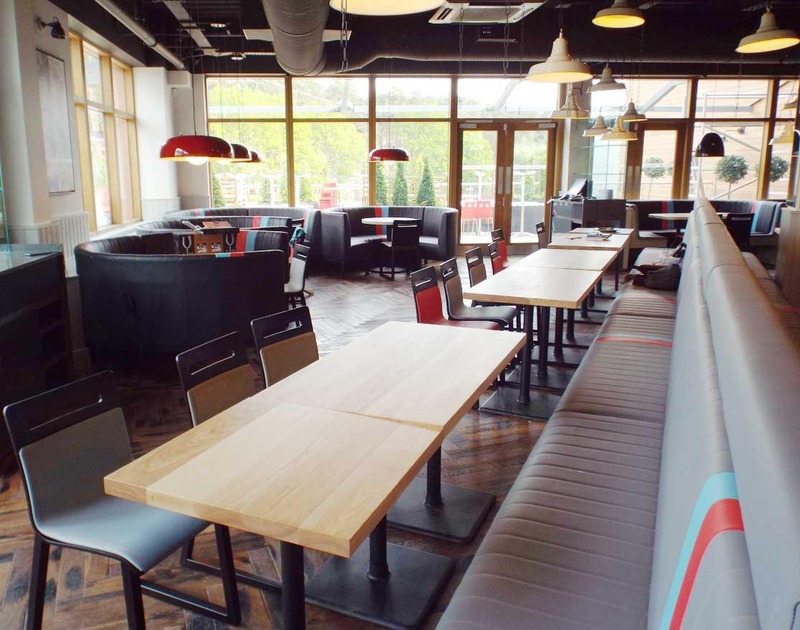 The bar was also clad with our Fumed Engineered Oak (E149) to give a rich colour, adding to the unique character of the restaurant. The pictures show how effective this floor is when finished with our Heavy Duty Oil. 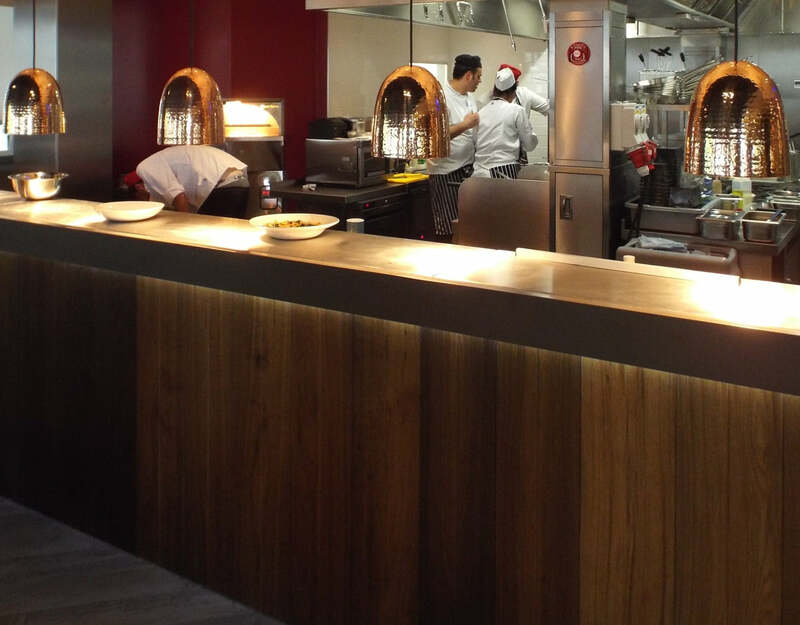 Maintenance is easy and curing time is minimal therefore it is perfect for a busy restaurant environment that needs to be open 7 days a week.